Here’s something you might notice on your air conditioner one day: on the indoor unit, an accumulation of ice and frost starting to develop across the coils. People who spot this condition on ACs often dismiss it. The air conditioner is supposed to send out cold air, and it uses refrigerant, just like a refrigerator does. So… shouldn’t a little ice be normal? It’s not, however. Ice forming along an air conditioner is a sign that it needs professional repairs. 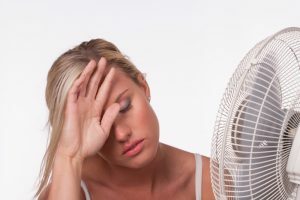 The air conditioner has a major fault, and the longer the ice remains on the system, the more in danger the system is of failing to provide any cool air at all to a home. This problem requires the work of a trained repair technician to remedy it. 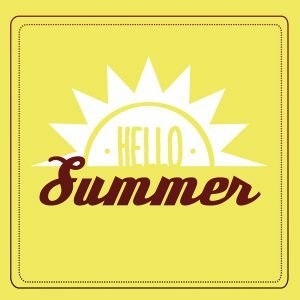 For the work necessary to get your air conditioning in New Hampshire working again, call HB Energy Solutions today. 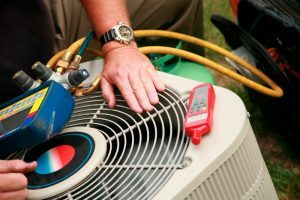 The development of icing along the coils of an air conditioner usually warns of one of two problems: a loss of refrigerant or dirt along the coils. 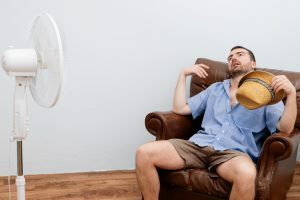 The refrigerant in an air conditioning system is a blend of chemicals that shifts between liquid and gas as it cycles through the system, absorbing heat from the indoors and then releasing heat to the outdoors. Refrigerant is necessary for the heat exchange that makes an air conditioner cool down a space. Refrigerant does not dissipate during normal operation, but leaks can cause its level (known as its “charge”) to drop, which jeopardizes heat exchange. The reason this causes ice to form along the indoor (evaporator) coil is that low refrigerant leads to low pressure, which causes the refrigerant to cool down too much when it evaporates. The extra cold from the refrigerant causes the water vapor along the coil to freeze. This further restricts heat exchange, and the ice growth continues. If the problem isn’t fixed (a repair technician can seal the leak and recharge the refrigerant), eventually a solid ice block will cover the coils and no heat exchange can take place at all. Dirt developing along the coils will also make it harder for the coil to absorb sufficient heat, and frost will start to form, leading to the same chain reaction concluding in heat exchange loss. In neither case will scraping the ice from the coils solve the problem. The ice isn’t the initial problem, but a symptom of it. Trust the work to repair experts who are familiar with this issue. 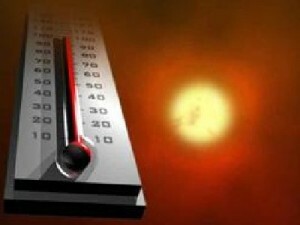 HB Energy Solutions has assisted New Hampshire with air conditioning repairs and maintenance for over 21 years. When you need help, done fast and right, contact our AC specialists—one call does it all!